“What gets measured gets improved.” – Peter Drucker. Data analysis, or analytics, enables business managers and planners to capture and interpret large datasets to guide business decisions. 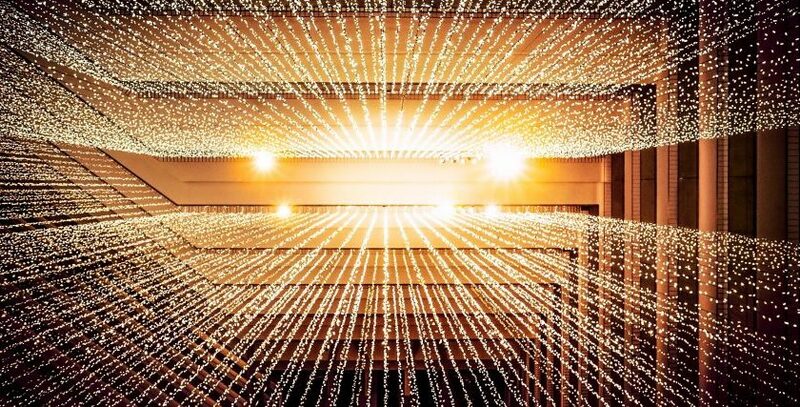 A correct implementation of analytics techniques and tools can boost business performance by putting useful information in front of decision-makers and thereby improving profitability. Data: Number of users across the several steps of the recruitment funnel; time spent on those steps; drop-off rates across these steps; etc. These are the kind of relevant recruitment data that give recruiters the capability to perform the right analyses, gain better insights, and make well-informed decisions during the talent acquisition process. Recruitment analytics should always produce actionable insights to improve campaign performance and optimize recruitment and hiring processes. 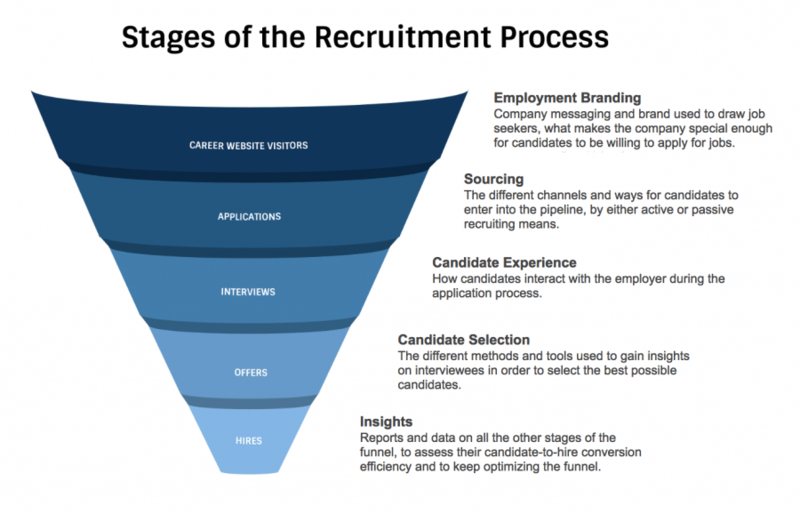 Each one of these stages has relevant metrics related to the different ratios of drop-off or churn between steps, such as visitors to applicants, applications to interviewees, interviews to offers, and offers to hires. Both the user experience (UX) and the candidate experience need to be streamlined and optimized in order to increase effectiveness. The goal of the HR department is to achieve recruitment goals with the best possible ROI. This is done by obtaining the right volume of hires through an optimized funnel with reduced drop-off rates. In other words: by hiring the right number of qualified candidates, which improves costs and optimizes the recruitment process. Effective recruitment analytics require a proper data collection, an application funnel with a logical flow and optimized stages, as well as a focus on the right numbers. Not all metrics are equally valuable, some of them might be even misleading. Organizations need to focus on data that will let them make better decisions and improve ROI. The right tools can help manage data. A programmatic recruitment platform helps to analyze data to implement better buying decisions. These insights are leveraged to optimize job ad placements for the best performing recruitment channel mix for the particular organization. Volume of applicants: Number of applicants entering the top-of-funnel stages. This will inform about the effectiveness of the application website, branding, and sourcing initiatives. Volume of applicants per funnel stage: Observing the number of candidates per stage will help to identify possible friction points and opportunities for optimization across the process. Volume of hires: Amount of hires actually starting to work. The ultimate goal of the recruitment process is to achieve an optimal volume of hires with a high retention rate. Cost per Hire (CPH): Defined as the sum of all recruitment costs (internal and external), divided by the total number of hires during a certain period. Internal costs are all the costs of the recruitment process inside the company (HR staff, organization, capital), whereas external costs are all the expenses related to external vendors involved in recruitment. Lifetime Value (LTV): This metric is very specific to each business as every organization has its own definition of quality of hire. However, some measurements are persistently used such as performance levels, time to productivity of new hire and retention rates, among others. By carefully tracking and optimizing these metrics, the recruitment process will constantly improve, helping organizations to meet their business goals. HR professionals need to have a thorough understanding of their organization’s business goals. This will let them define their application funnel and optimize the recruitment process as a whole. Choosing a recruitment platform with true programmatic recruitment capabilities and a focus on the needs of recruiters (rather than the need of publishers) can give organizations a deeper understanding of data across the entire application funnel. The resulting insights can help to achieve recruitment goals while improving the bottom line.